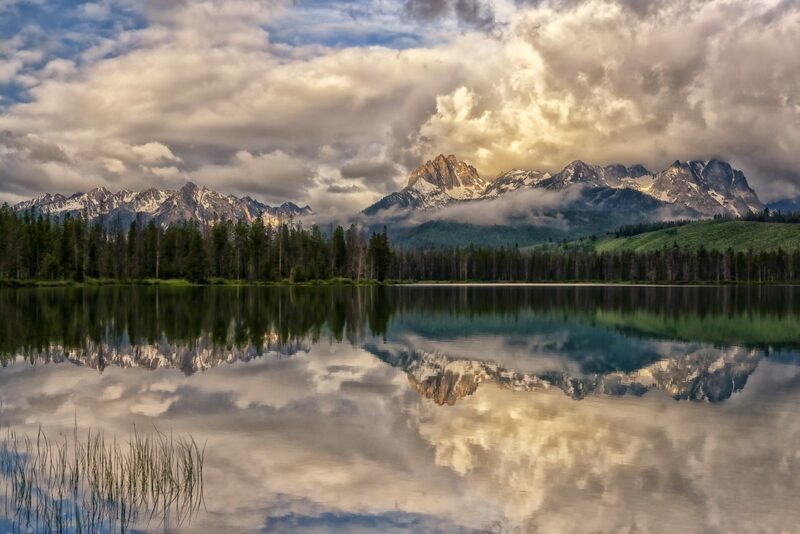 Take the Redfish Lake turnoff from the Sawtooth Scenic Byway (hwy 75). A stormy sunrise with The Grand Mogul and Mt. Heyburn reflected in Little Redfish Lake.